The regular enrollees at Georgia were able to have their jersey numbers set in stone earlier this week, as a roster was released on the University of Georgia official website. The roster includes name, jersey number, height and weight. The signee class includes thirteen freshmen on scholarship, and a JUCO transfer, Javon Wims. RB Brian Herrien: No. 35, listed at 6-foot-2, 205 pounds (previously listed at 200 pounds). In addition to the previously listed signees, offensive tackle Tyler Catalina was given jersey No. 72. Catalina is a graduate transfer from Rhode Island. The five early enrollees who already have their numbers and played in the G-Day game in April are: Jacob Eason, No. 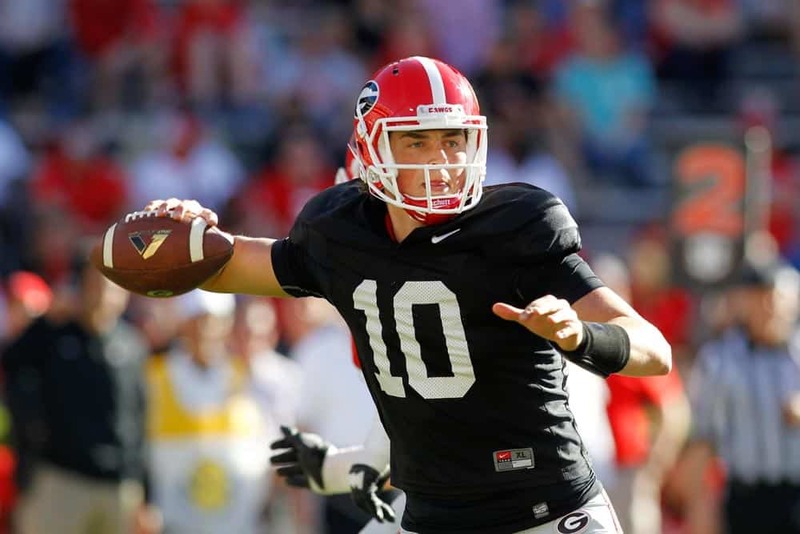 10, Isaac Nauta, No. 18, Riley Ridley, No. 8, Ben Cleveland, No. 74, and Julian Rochester, No. 5. The sixth early enrollee, Chad Clay, was slated to wear No. 23 but was dismissed from the team in June after his third arrest.